A stay at Tahara Cottage offers our guests the opportunity to enjoy the English-style park and gardens surrounding Tahara. The grounds feature many shrubs and trees imported from England in the 1890's, including chestnut, laurel, oak, liquidamber, copper beech, rhododendrons, camellias, and azaleas complemented by recent extensive plantings of roses. Wander through the gardens, picnic under the trees, explore the vegetable garden and orchard, ‘take tea’ in the pond garden. 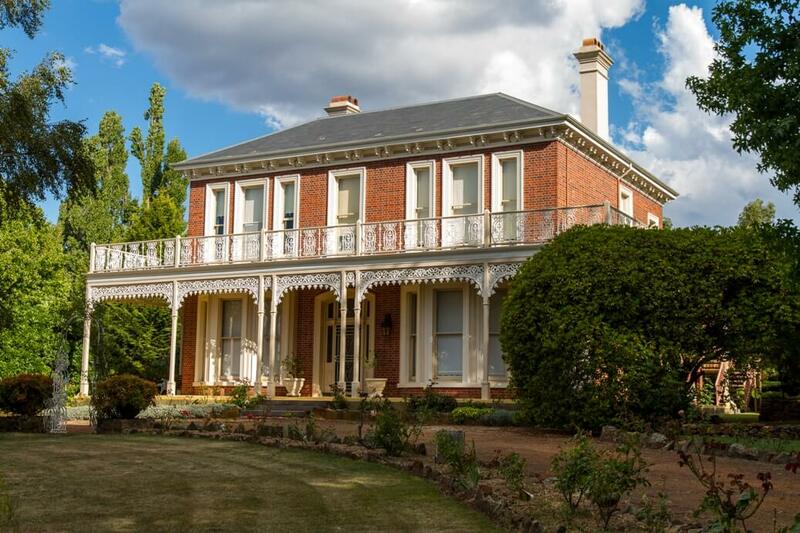 ‘Tahara’, a two storey Victorian Italianate style mansion, was completed in 1889 for C.J.L. Smith, a Tasmanian entrepreneur. The 140,000 bricks required for the triple brick walls were barged down the Meander River from Mr. Burnie’s newly constructed brickyard. Both the house and the grounds were classified by the Tasmanian Heritage Council in 1999 as being of historic heritage significance. ‘Tahara’ features prominently in the book The National Trust in Tasmania (Cassell, 1980, page 69). It was once the homestead of a large farming property. The estate was broken up in 1917 and sold off in allotments; the homestead block was retained and forms the present grounds.